This comprehensive book shows readers what ART is, how it can be used to mitigate risk, and how certain instruments/structures associated with ART should be implemented. Through numerous examples and case studies, readers will learn what actually works and what doesn't when using this technique. Erik Banks (CT) joined XL Capital's weather/energy risk management subsidiary, Element Re, as a Partner and Chief Risk Officer in 2001. 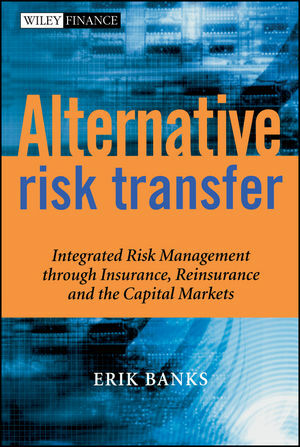 ERIK BANKS has held senior risk management positions at several global financial institutions, including XL Capital, where he was Partner and Chief Risk Officer of the Bermuda reinsurer's derivative subsidiary, and Merrill Lynch, where he spent 13 years managing credit and market risk teams in Tokyo, Hong Kong, London and New York. Mr. Banks has written various books on risk management, emerging markets, derivatives, merchant banking, and electronic finance.